Mt. Girnar, which is said to be a holy spot for many, is located at a distance of about 4-5 KMs from the main Junagadh district. The climb up the hill is very tiring, but not for the spiritual masses. There are Hindu as well as Jain temples lined up, in a cluster of five summits together, this culmination has caused issues too, but at the end of the day; it’s about people and their belief. If you want to climb up this mountain up to its peak, you need to start early dawn, as the heat increases with time, and it is a tiring walk all the way up. If you’re in Junagadh, Mt. 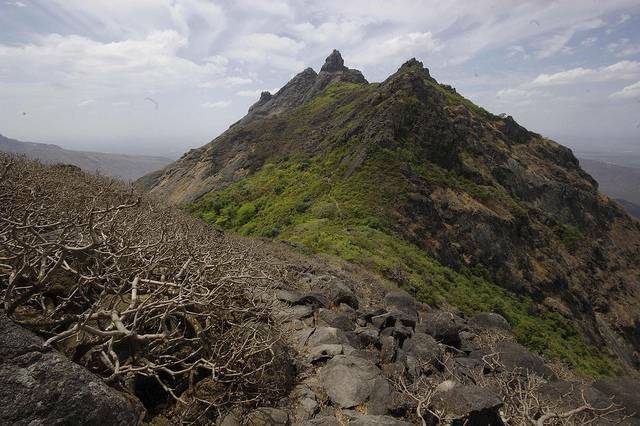 Girnar is a must visit. There are also a lot of competitions held here throughout the year, and the festivals are celebrated rather at a higher scale and crowds gather from everywhere to attend them.